What is “surfboard grade” paulownia? Get a FREE sample of this product! Email your sample request and we’ll get it right out!! Surfboard grade paulownia is the currently available grade of clear, dry paulownia wood available from China. This is the grade I use for all of the Clearwood Paddleboards built projects that you see here on the Clearwood Paddleboards website. The planks are typically made up of two strips of paulownia glued into one plank, and all of the strips that I mill for customers come from this stock. In a perfect world we would have material that is not created from glue ups, but even with the glue ups this is super nice material that will yield a great finished product. 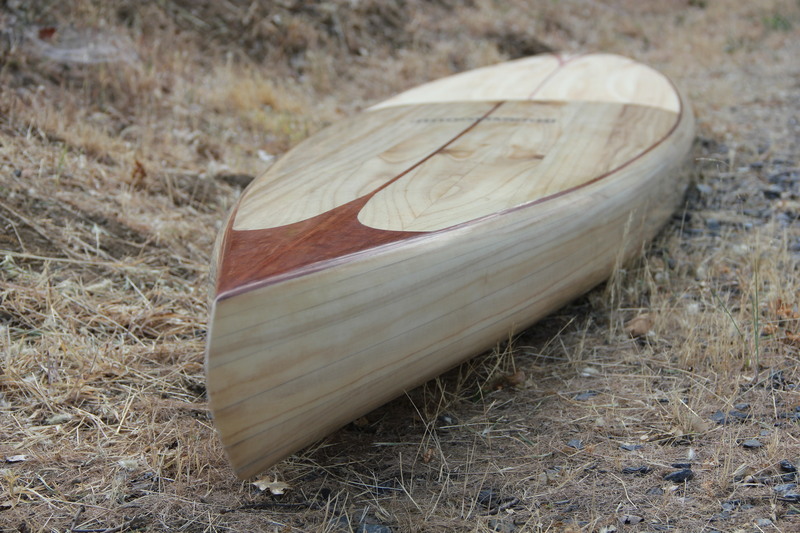 Paulownia is “the” wood to use if you want to build a strong, light surf or paddleboard. This material is slightly heavier than balsa but considerably stronger. It is actually the highest weight to strength ratio species available and typically weighs in the range of 13-18 pounds per cubic foot. As a comparison, red cedar weighs in the range of 26-30 pounds per cubic foot. What this means in terms of finished board weight is that when using paulownia wood and using my system of building your finished board will weigh no more than, and often less than the weight of production glass and foam board. The surfboard grade paulownia planks that I sell can be milled into strips with very little waste. I use the best strips on the deck and rails with the “downfall” going into the bottoms. You will need to plan your milling strategy thoughtfully as with any material milling process. All of this material has been stored in a heated woodshop prior to being shipped to your door.